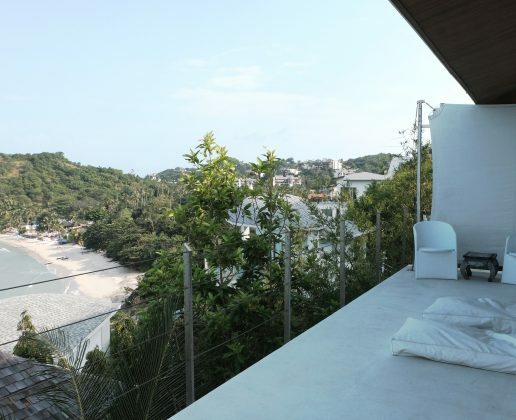 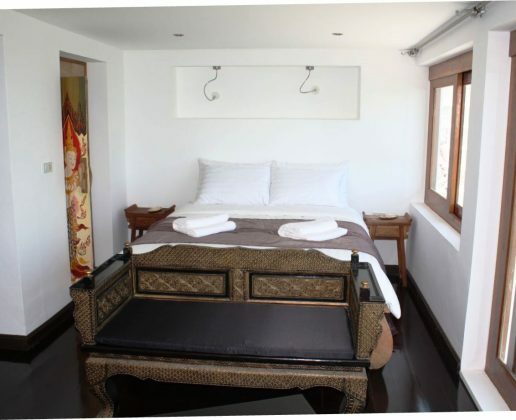 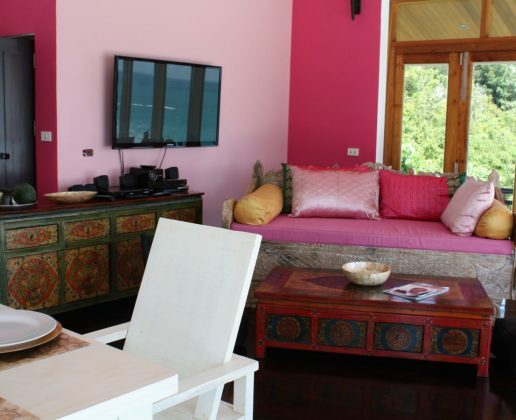 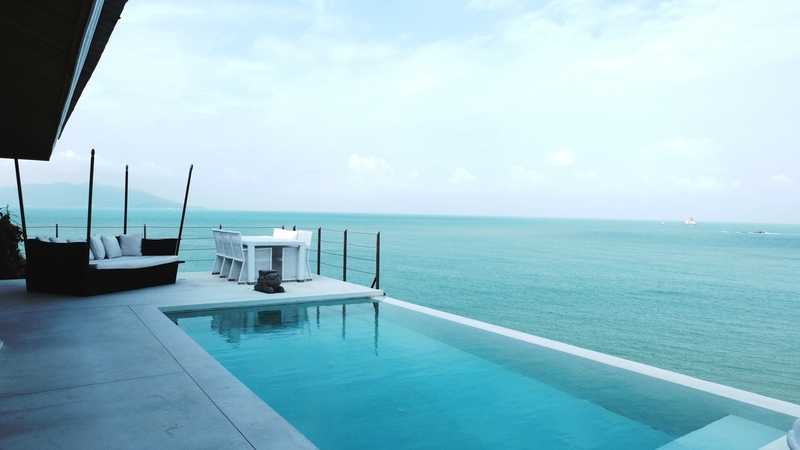 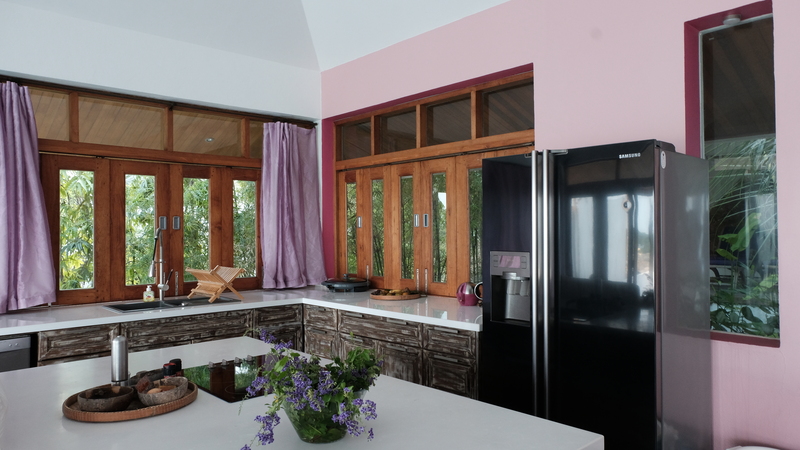 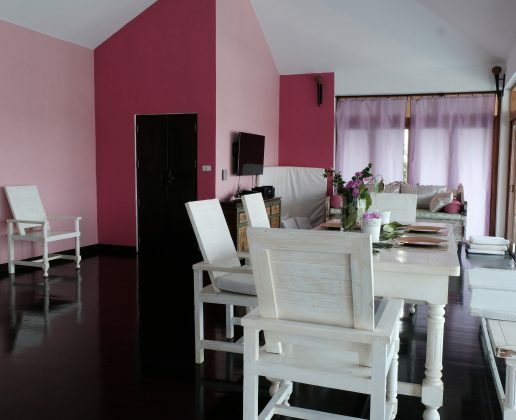 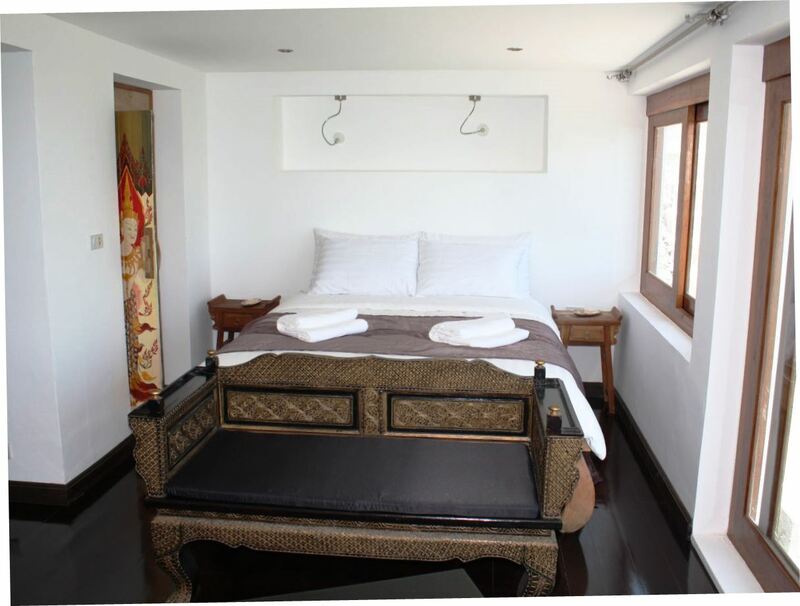 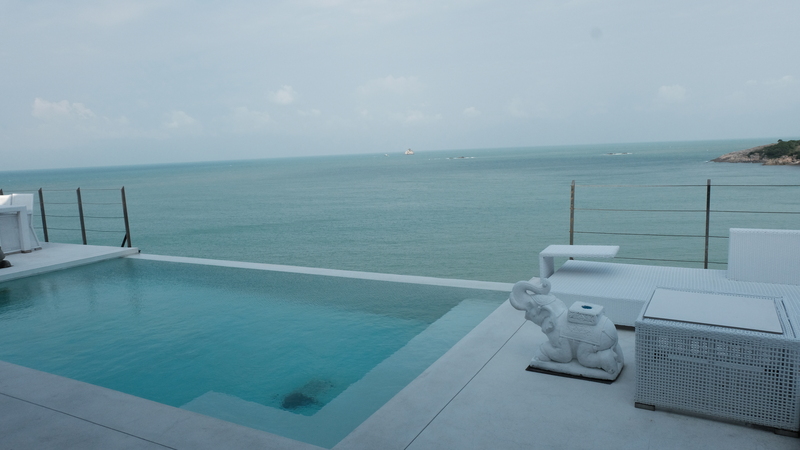 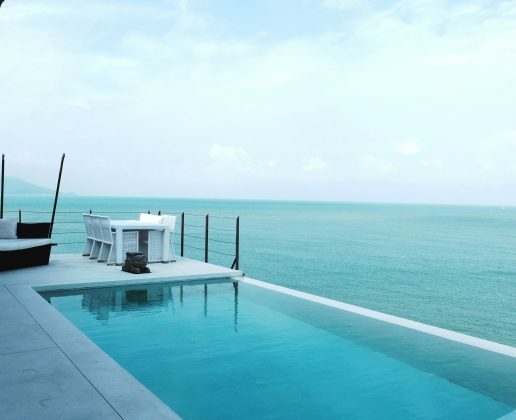 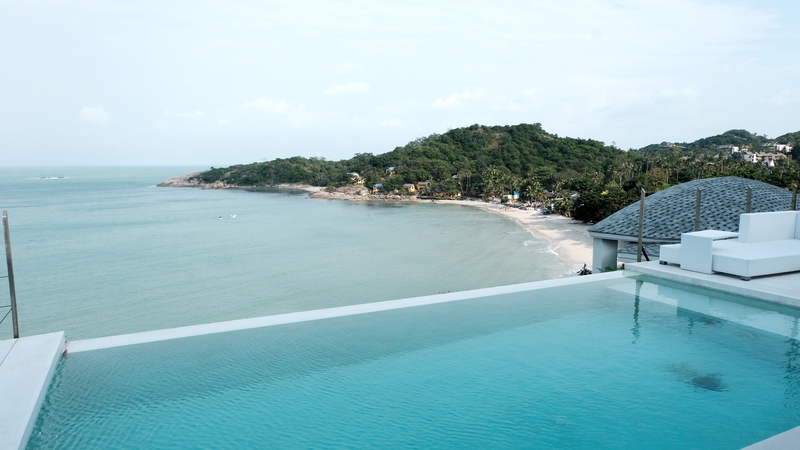 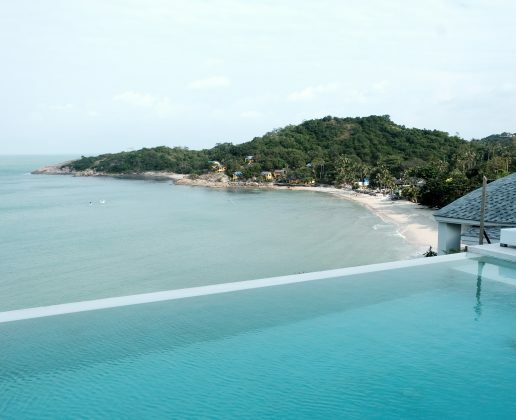 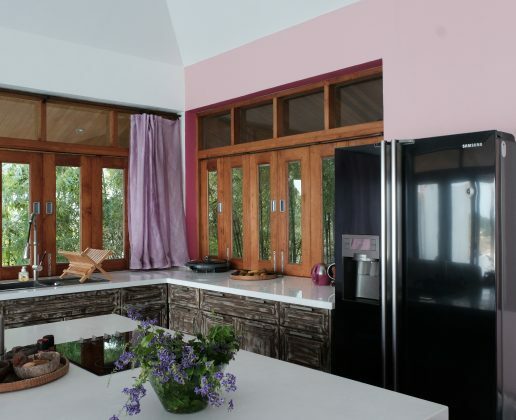 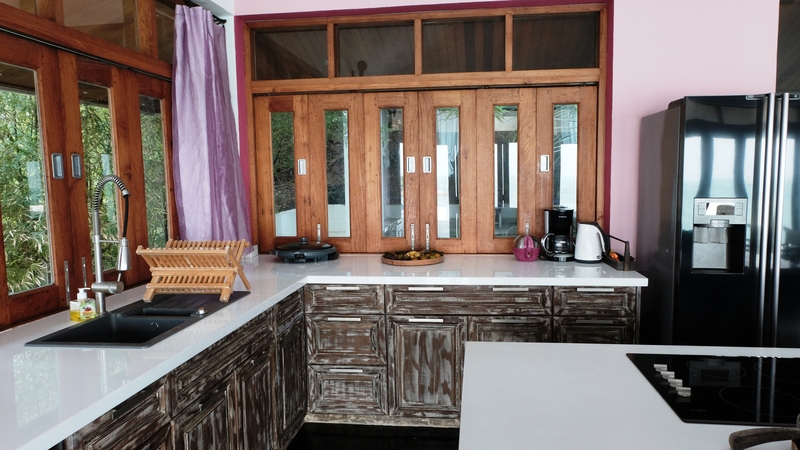 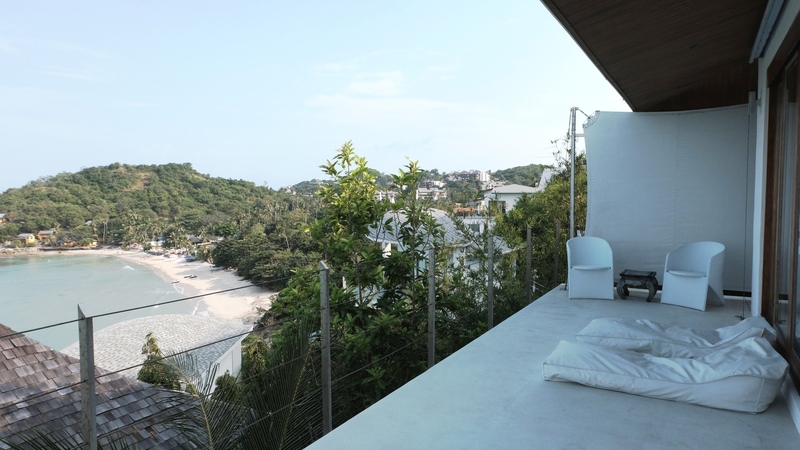 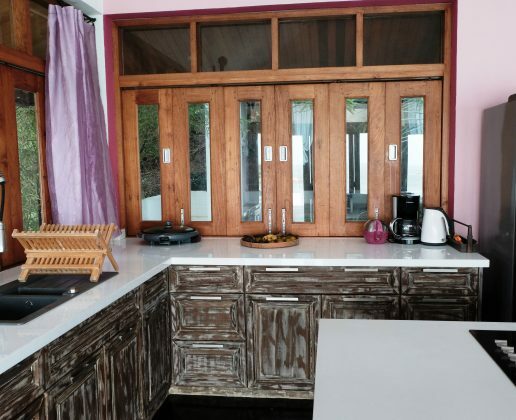 The villa is located in the north-eastern part of Samui on the rocky shore of the Tongson Bay. 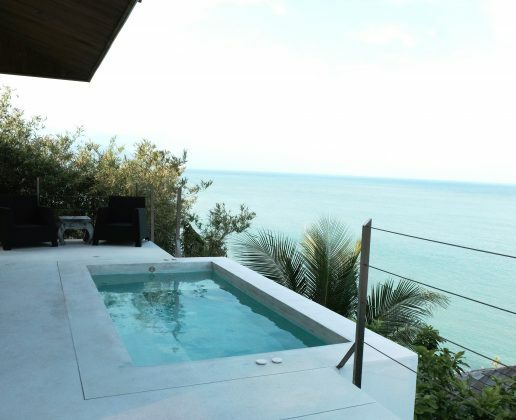 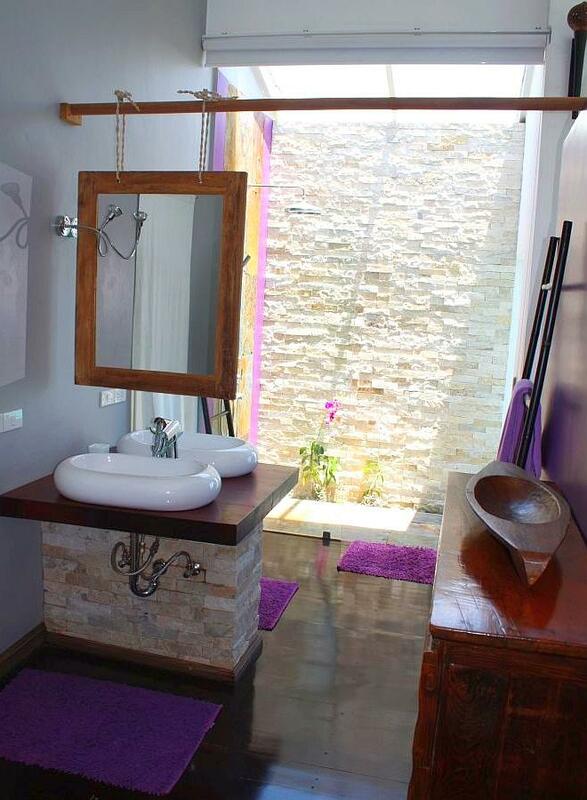 Stunning sea views are a feature of this quiet and secluded corner of the island. 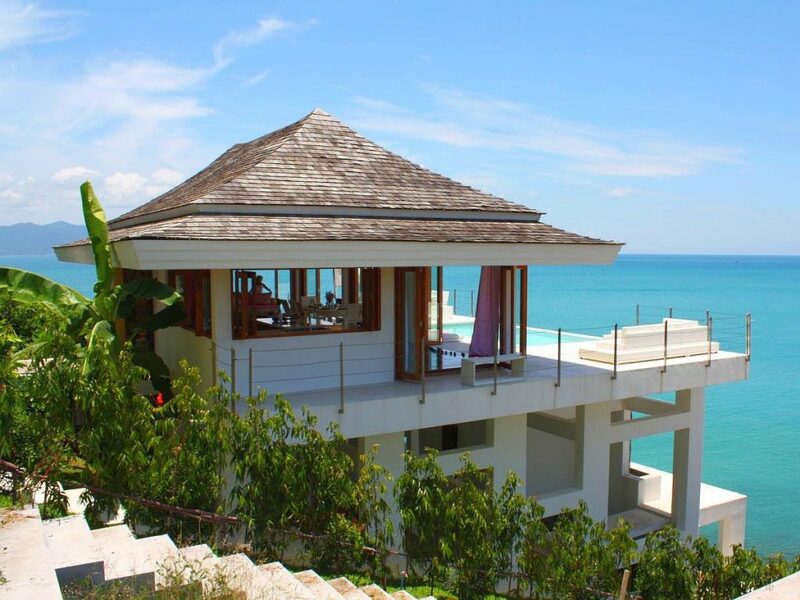 The villa is on a slope right on the beach. 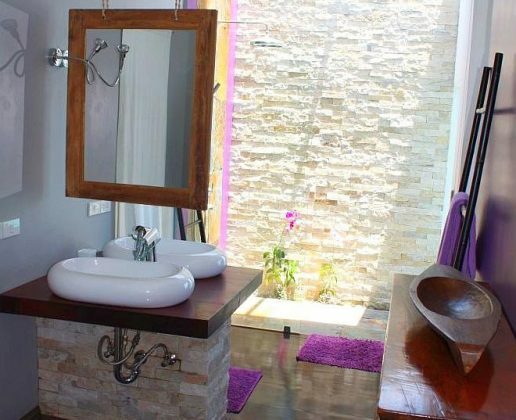 The 3 individually furnished spacious bedrooms with modern baths, 3 showers and 2 bathtubs with king size beds are in separate parts of the building. 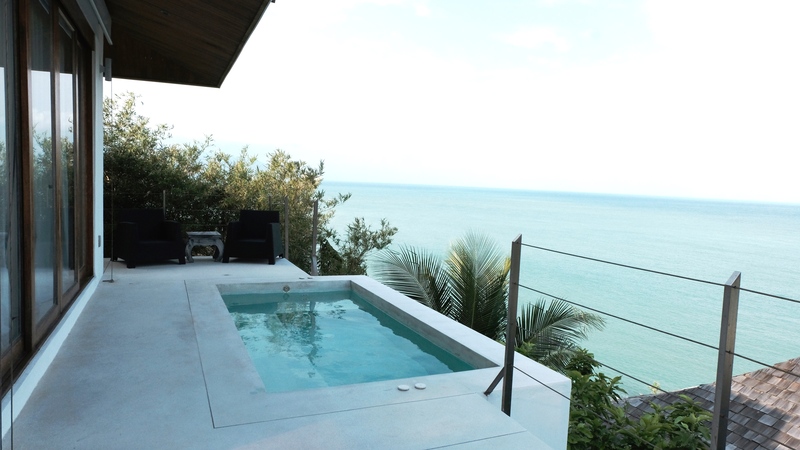 On the dreamlike terrace in front of the bedrooms you can relax and enjoy the large jacuzzi with power jets with a wonderful sea view. 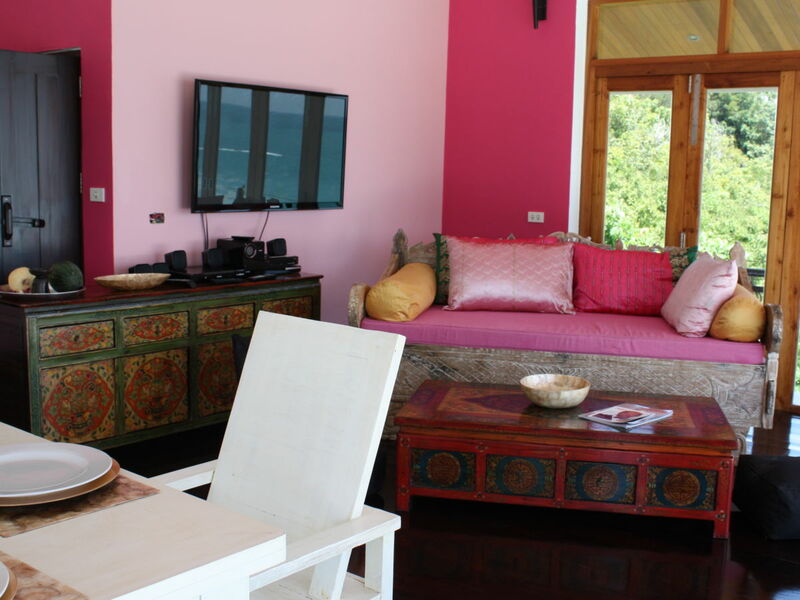 If you go down the steps below the villa, you reach a bridge toward the lovely living area with modern living room kitchen in Balinese style. 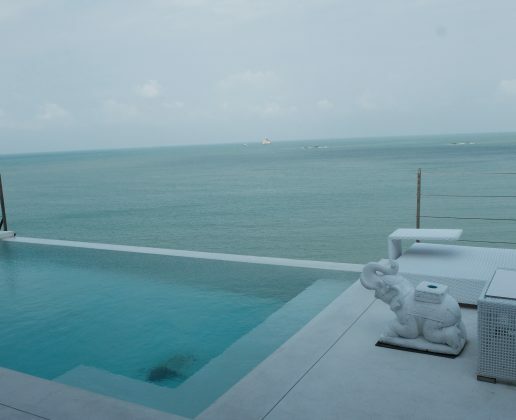 There is a unique terrace with over floating pool which guarantees total relaxation. 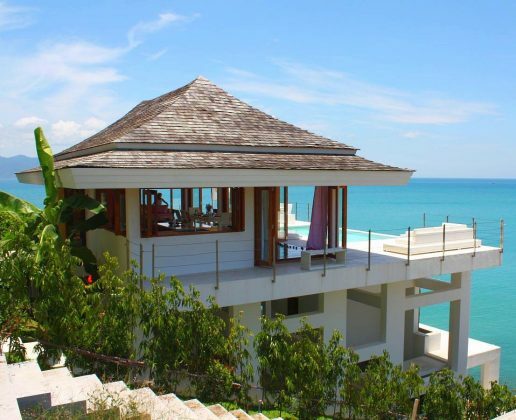 The villa is framed by a lovely tropical garden, with a walkway to the sea.